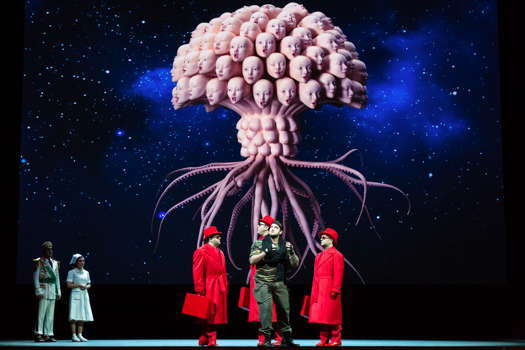 On 19 January 2019, I flew to Palermo for the opening of the 2019 opera season of Teatro Massimo, a house that always has quite interesting productions and which caters for an audience from the whole of Sicily. The theatre was sold out; chairs had to be added to the orchestra seats. In the Royal center box were the second authority of the Republic, the Senate Chairperson Ms Maria Elisabetta Alberti Casellati, the President of the Sicilian Region, the Mayor of Palermo and other prominent personalities. 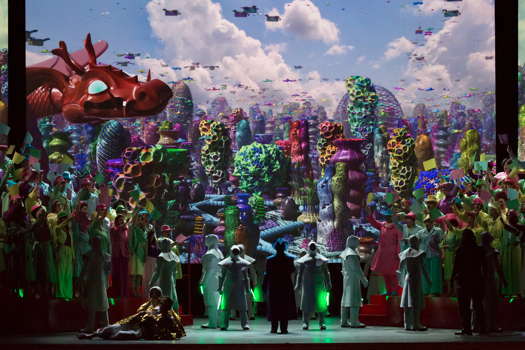 The opera on stage was a much awaited co-production of Puccini’s Turandot, a joint venture with Bologna's Teatro Comunale, the Karlsruhe Badisches Staatstheater and St Petersburg's Lakhta Center. 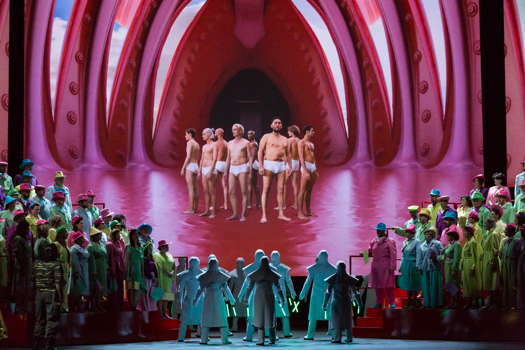 It was the first operatic work of an international Russian vanguard group, AES+F, well-known in the visual arts, especially for its 3D projections. AES+ F had worked hand in hand with young and up-coming stage director Fabio Cherstich. 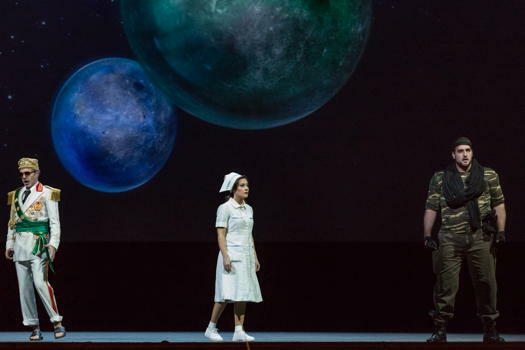 The opening night was almost a key to the entire season: traditional titles, such as Pagliacci, La Traviata and Il Barbiere di Siviglia are mixed with innovations, such as Il Ritorno d’Ulisse in Patria as seen by William Kentridge, the world premiere of Winter Journey by Ludovico Einaudi and Robert Schumann’s Das Paradies und die Peri, as staged by the vanguard group Anagoor. 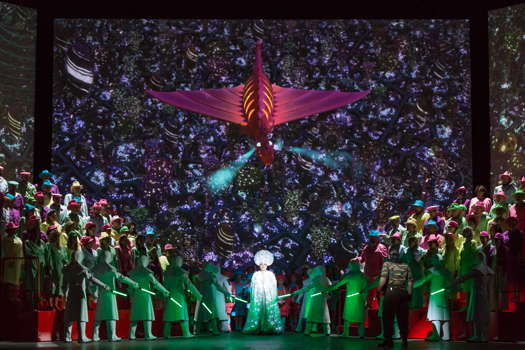 This staging of Turandot is rather extreme, but nonetheless faithful to the libretto and to Puccini’s intentions. It is set at the end of the 21st century in a matriarchal and authoritarian multi-ethnic Empire where men are tortured, raped and beheaded by robots looking like women - vampyrs. This science fiction context is shown in huge 3D videos whilst the action develops. The authoritarian Empire reflects Puccini’s own fascination with authoritarian governments. In the second act, when Turandot's grand aria - In questa Reggia or son mill’ anni e mille - recalls her ancient relative raped by a stranger, the video shows the period when men were in charge and abused women. The Empire is, of course, full of immense high-rise buildings and round machines flying in its sky. There are also peculiar flowers. In the final scene, the context is more serene. 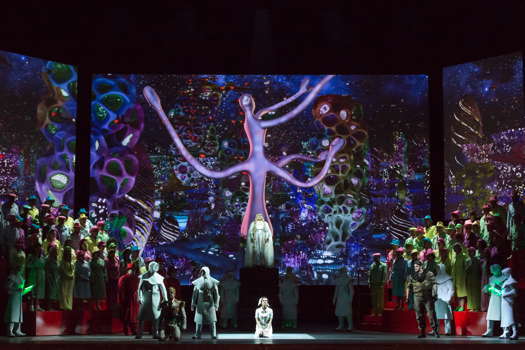 The face of a Chinese child is on the screen after the icy Turandot has melted and discovered her love for Calaf. In this review, a few photos give an idea of the extreme staging. The audience was split over the very concept: some liked it, but others made their dissent quite clear. In my view, the main problem was that the videos distracted from the theatrical action. 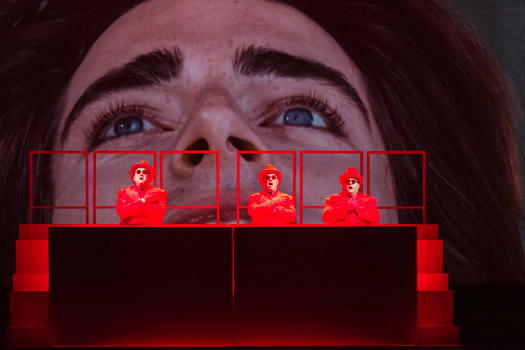 Most probably, at their first theatrical and operatic experience, the AES + F team exceeded in showing their talents and the director could not restrain them. The musical aspects were excellent: a real Turandot to remember, also because some the customary ‘cuts’ in the impervious final duet were ‘opened up’. In the pit, Gabriele Ferro and the Teatro Massimo orchestra demonstrated how modern Puccini’s score was for the nineteen twenties, and how vivid it still is now. They underlined the references to ancient Chinese music as well as to Debussy, Bartók and Stravinsky. They showed how, in his last and unfinished opera, Puccini anticipated future musical developments. The chorus, led by Piero Monti (and by Salvatore Punturo for the children's section), was one of the evening's protagonists: due to Teatro Massimo's perfect acoustics, the audience was enveloped like in a stereophonic studio, particularly in the first act ‘invocation to the moon’ and in the final ‘anthem to love’. The cast was superb. The ‘icy Princess’ was a young dramatic soprano, Tatiana Melnychenko, who has already coped very well with taxing roles at Metropolitan Opera, the Verona Arena, Barcelona's Liceu and at other major opera houses. She has a huge volume, perfect phrasing and the ability to ascend to high Cs and maintain them steadfastly. Her Calaf was the American tenor Brian Jagde, who has sung the role several times in the United States and in Europe. He demonstrated a strong central register, a generous acute and a high volume. Both the princess and her suitor enthralled the audience. Liù was the young soprano Valeria Sepe. In her career, she alternates dramatic and lyric roles. She was quite good, but I would have preferred a more lyric Liù. Simon Orfila was a well-calibrated Timur. Vincenzo Taormina, Manuel Pierattelli and Francesco Marsiglia were effective as Ping, Pong and Pang. The audience had no hesitation to applaud and give ovations to the orchestra, the chorus and the singers.